Via Loopaza Mega Store*we have a nice gallery and listing for the upcoming*Takara Tomy Studio Series Line Up From SS-19 to SS-33. We are glad to announce that SS-27*Dark Of The Moon Megatron is finally confirmed for release. 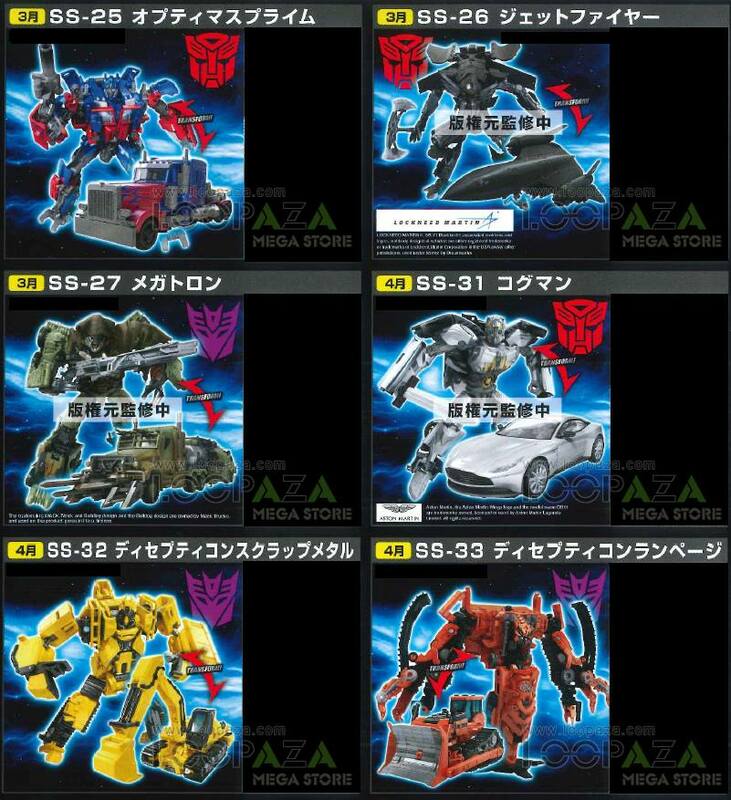 The listing shows the Takara Tomy Studio Series numbers (keep in mind the numbers are different from the Hasbro releases) and characters as follows: SS-19 Deluxe WW II Bumblebee SS-20 Deluxe Dark Of The Moon Sideswipe SS-21 Deluxe Barricade SS-22 Deluxe Cranckcase SS-23 Deluxe Clunker Bumblebee SS-24 Voyager Bonecrusher SS-25 Voyager Revenge Of The Fallen Optimus Prime (New tooling) SS-26 Leader &#187; Continue Reading. The post Takara Tomy Studio Series Line Up From SS-19 to SS-33. Dark Of The Moon Megatron Confirmed appeared first on Transformer World 2005 - TFW2005.COM.